Photo from the LIFE archives, found via Old Time Friend. 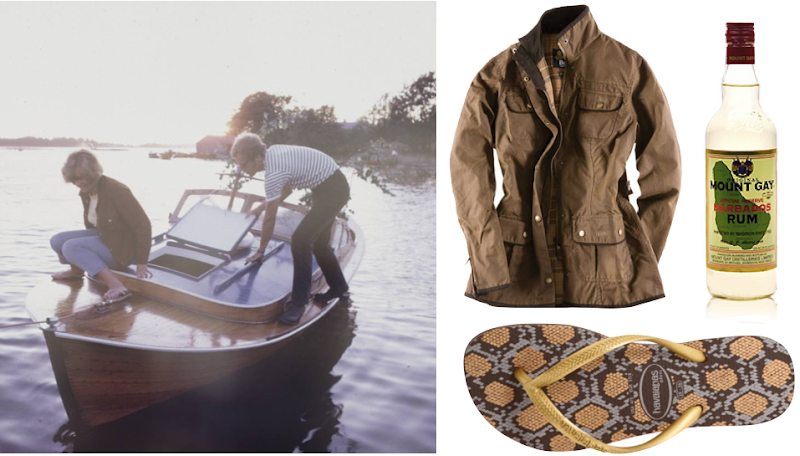 Barbour utility jacket ($380); Mount Gay Special Reserve rum ($59); Slim Havaiana Naja flip-flops ($24). Love it, especially that print on the havianas!